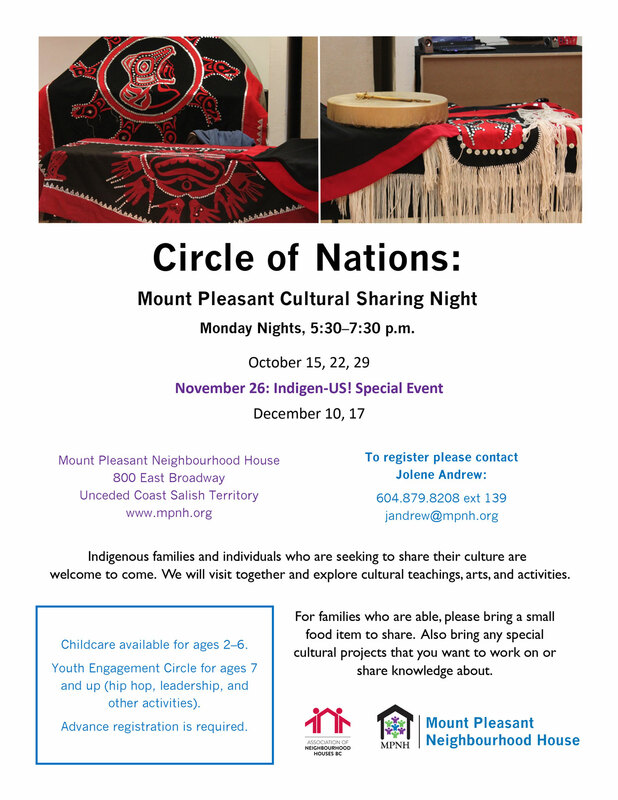 Indigenous families and individuals who are seeking to share their culture are welcome to come. We will visit together and explore cultural teachings, arts, and activities. For families who are able, please bring a small food item to share. Also bring any special cultural projects that you want to work on or share knowledge about. Childcare available for ages 2-6. Youth Engagement Circle for ages 7 and up (hip hop, leadership, and other activities). Advance registration required.